On Aug. 3, Red River Parish Sheriff’s deputies executed multiple arrest warrants on Ranson Thomas of Coushatta. Thomas was located and apprehended at a residence in the 1800 block of Carlisle Road southeast of Coushatta. The Louisiana State Police obtained arrest warrants stemming from a traffic stop where Thomas fled the scene. RRPSO held two additional warrants resulting from two separate criminal investigations. Upon making contact with Thomas, he was taken into custody without incident. During the course of the arrest, deputies recovered several items classified as drug paraphernalia. These items were collected as evidence and resulted in an additional criminal charge. 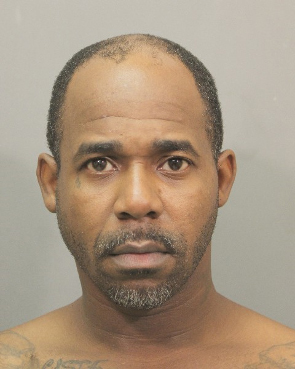 Ranson C. Thomas, b/m, 39, is charged with one count each of RRPSO Warrants – Theft over $750 but less than $5,000 and Cyberstalking; LSP Warrants – Resisting an Officer by Giving False Information Regarding Identity, Resisting an Officer, Required Position & Method of Turning at Intersections, Expired MVI, Failure to Secure License and Registration, Driving Under Suspension, Possession of Marijuana and Possession of Schedule II CDS; RRPSO – Possession of Drug Paraphernalia. His bond was set at $24,000 and he remains incarcerated.